GIFTS AND PARTY, MADE PERSONAL. Curated party goods and custom gifts for the perfect event. Our gifts are made with a personal touch + amazing products to create the perfect present. Balloons and decor to add that little something special to your party or corporate events. Top it off with gift wrap and the perfect greeting card. For work or pleasure, we are here to make your gifting and party experience fun, effortless yet full of thought and creativity. Welcome to Paper+Cup! We are a boutique creative studio that specializes in custom gift design and party decor. What initially started as a stationery company offering a line of letter-pressed cards and journals has evolved into custom stationery, licensing and product design. Our works have been featured in publications such as Print, Martha Stewart Weddings, New York Wedding, Real Simple, Domino, Lucky and The New York Times. We were fortunate to have had the opportunity to collaborate with some of the industry's best companies such as Anthropologie, Urban Outfitters, Neiman Marcus, West Elm, Galison and Chronicle books. When our wedding was published in Martha Stewart Weddings in 2006, it launched us into the world of custom invitations. After years of working with clients on custom invitations, founder Minhee repeatedly found that her clients needed help with sourcing welcome gifts, favors, and custom decor. In 2010, we wrote our first book Paper+Craft with Chronicle books along with Randi Brookman. It wasn’t until our second book, Weddings in Color launched in October 2015 with co-author Vane Broussard from BklynBride that Minhee realized that there truly is a need for better gifting and decor options. The business has evolved since the beginning but our love of good, smart and fun design still remains! It was 1983, Minhee was new in her 4th grade class. She asked her mom to bring in some cupcakes to celebrate her summer birthday during the last day of school. So her mother came and with delight started serving Minhee's birthday treats. To Minhee's dismay, they were not the cupcakes she asked for. All the kids started to make fun of the traditional Korean treats that Minhee's mom brought. However, there was one boy named Truman that just so loved the Korean treats. He saw that Minhee felt sad and decided to eat as much as he can. He thanked Minhee's mom and continued to fill his tiny stomach. It must be true that a way to a man's heart is through his stomach! Minhee’s love of paper and art started in childhood. She would design magazines with her friend, diy birthday cards and draw whenever she could. While studying abroad in Bordeaux, France, she realized there was a world of stationery and fine papers. After earning a BFA in painting and drawing from UCLA in 1998, she moved to New York to study graphic design at SVA. 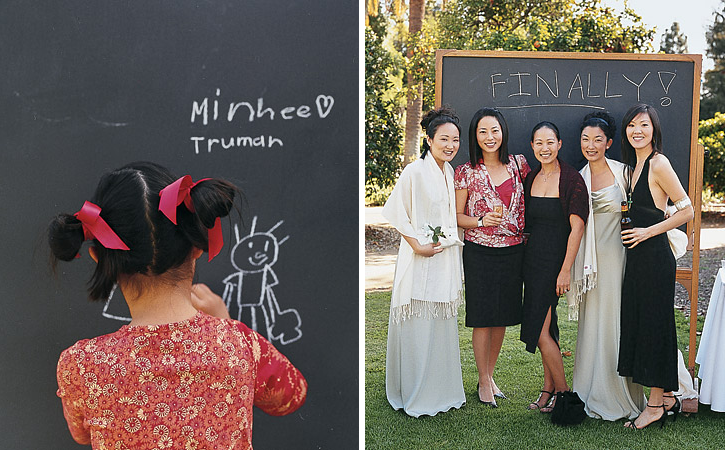 Prior to starting PAPER+CUP, Minhee started her design career in the editorial department at Time Inc. Custom Publishing. A few years later, encouraged by her then boyfriend, now husband Truman, the couple started PAPER+CUP in 2003.